It can be argued that movie adaptations of works by Charles Dickens are popular any time of the year, but seemingly more so during the Christmas holidays. And it’s not just that any yuletide season is incomplete without a showing of one of the numerous versions of “A Christmas Carol.” Somehow the trials, tribulations and triumphs of the author’s characters, from David Copperfield to Nicholas Nickleby, cheer us in the viewing audience as we approach the end of the year and we gauge our own successes, failures and break-even status both economically and socially. Christmas, in the world of Dickens, provides a time of renewal and reflection as we, like his characters, look to improve our station in life. As Dziemianowicz notes, “A Christmas Carol” is the Dickens work most people who haven’t familiarized themselves with his novels really know because of its classic standing in the season. Fans of old Hollywood and M-G-M’s production gloss love the studio’s 1938 version, for years considered the best for not only having a grand Scrooge in Reginald Owen, but also for the re-creation of the time in which the tale is set. The viewer gets the feeling of being transported to December 1843, when “A Christmas Carol” was first published, albeit in a cleaned-up version under Edwin L. Marin’s direction that doesn’t dwell on the poverty afflicting the Cratchit family. The focus is on the impending fate of Tiny Tim (Terry Kilburn) unless Scrooge changes his miserly ways. “If these shadows remain unaltered by the Future, the child will die,” the Ghost of Christmas Present somberly informs Scrooge when he asks if Tiny Tim will live. In the 1951 British production from Renown Pictures starring Alastair Sim, we have the period in spades but with a darker cast than the M-G-M production. Tiny Tim’s predicament receives its due, but the emphasis was more on the psychological interpretation of the main character. Without excessive makeup or heavy acting, Sim’s Scrooge appears to spring from the pages of the original, more scornful of the problems people bring to his door and too aware of his own failings to take that final step and embrace the spirit of Christmas. His transformation, when it comes with the morning light, is all the more remarkable for the joy he exudes at being given a second chance to make the world around him right. This comes after director Brian Desmond Hurst has given us some truly unsettling images to ponder — Marley’s Ghost (Michael Hordern) pointing to and lamenting the plethora of lost souls he rejoins after visiting Scrooge, the sudden appearance of the boy Ignorance and the girl Want at the behest of the Ghost of Christmas Present (Francis De Wolff), and the eerie, hooded apparition that is the Ghost of Christmas Future. These are among the best versions of “A Christmas Carol.” One of the worst, for my money, is a TV film adaptation of 1949 narrated by Vincent Price and starring Taylor Holmes as Scrooge. If you can look past the utter lack of atmosphere, threadbare sets and rushed attempt to cram the tale into less than 30 minutes of telling, this production that even gets the title wrong (“The Christmas Carol” rather than “A Christmas Carol”) isn’t too offensive but leaves a bad aftertaste and a certain amusement at what was not retained from the Dickens original. But what of the other Dickens adaptations with no real connection to the holiday? They play just as well because they manage to express the author’s concerns with society and the human condition. And others are just simply superb storytelling that leave those who appreciate such tales with contentment. Although “Great Expecations,” whose most noteworthy version is the 1946 release starring John Mills and Jean Simmons under David Lean’s direction, puts its hero Pip (Mills) through a number of trials, he finds his station in life is improved due to the youthful kindness he afforded the escaped convict Magwitch (Finlay Currie). One should not forgo the 1934 Hollywood version from Universal, starring George Breakston as young Pip, Phillips Holmes as his adult self and Henry Hull as Magwitch, which offers a comparably splendid vision of early Victorian-era life. Similarly, the 1935 all-star production of DAVID COPPERFIELD for M-G-M under David O. Selznick’s guidance and the direction of George Cukor presents a central character (Freddie Bartholomew as a youth, Frank Lawton as an adult) who arises from the horrible circumstances created by his widowed mother’s (Elizabeth Allan) remarriage to the inhuman Murdstone (Basil Rathbone) to become a successful author and claim his true love (Madge Evans). These elements and an array of fascinating characters and incidents make Dickens ideal viewing for both the holidays and around the year. But comparisons aside, “Nicholas Nickleby” is compelling viewing as the title hero (Derek Bond) overcomes adversity and an evil relative (Sir Cedric Hardwicke) to restore his family to comfort and security. It’s not the better-known stage epic of the 1980s but it doesn’t deserve the dismissal it’s gotten over the years. Its release into the public domain and home video distribution has given this “Nicholas Nickleby” a new lease on life. And don’t forget, if you’re in the mood, Universal’s 1935 production of “The Mystery of Edwin Drood,” created in the wake of the success that greeted the studio’s “Great Expectations” (and helmed by the same director, Stuart Walker) of the previous year. It’s an admirable attempt to resolve Dickens’s last and unfinished novel involving an opium-addicted choirmaster (Claude Rains) and the probe into the Christmas Eve slaying of his nephew (David Manners), blamed on the half-caste youth (Douglass Montgomery) who was the nephew’s rival for the hand of the choirmaster’s pupil (Heather Angel). It’s more in the thriller mode, with the holiday setting offering a unique atmosphere for the gothic doings to play out, but offers diverting viewing at this time of the year. So while not all of Dickens’s works lend themselves to the definition of a Christmas movie, a good majority of the cinema derived from his novels and tales are as welcome now as they are in mid-summer. The author’s concerns with the human condition shown in his works make for good drama as well as comedy, and are fine reminders as to why these films, like the fiction on which they are based, are classics of the form. * Dziemianowicz, “Foreward” to “Charles Dickens’s Christmas Tales,” New York: Bonanza Books, 1985, p. viii. ** Clarke and Tom Weaver, “To ‘B’ or Not to ‘B’: A Film Actor’s Odyssey,” Baltimore, Md. : Midnight Marquee Press, 1996, p. 170. 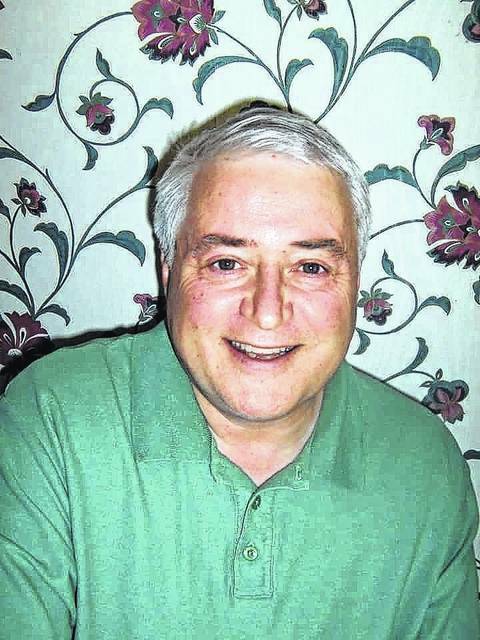 Kevin Kelly, who was affiliated with Ohio Valley Publishing for 21 years when not watching old movies, resides in Vinton, Ohio.